Ke$ha is telling friends her eating disorder was caused by her very own music producer Dr. Luke -- claiming he bashed her weight and even called her a big, fat refrigerator ... TMZ has learned. Sources directly connected to Ke$ha tell us ... it all started when the singer's "Get Sleazy" tour ended in 2011. She says Luke -- who signed Ke$ha to a deal at age 18 -- started ragging on her over the extra lbs she had gained in her downtime. Ke$ha says Luke -- a huge producer who has worked with Miley Cyrus and Rihanna -- began calling Ke$ha fat and urged her management team to do something about it. Our sources say Ke$ha complained ... during a music video shoot in 2012 Luke told her she "looks like a f***ing refrigerator" ... and the singer was profoundly affected by it. We broke the story ... Ke$ha is now in rehab for an eating disorder. 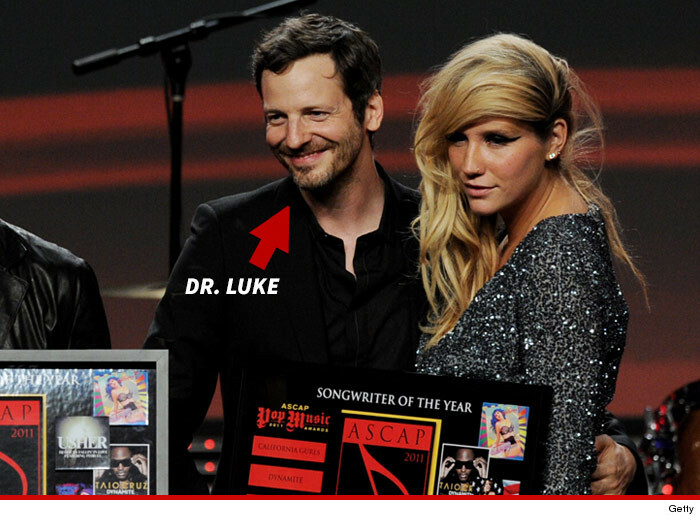 Calls to Dr. Luke went unanswered.